The 2020 Austin Marathon will celebrate its 30th year running in the capital of Texas. 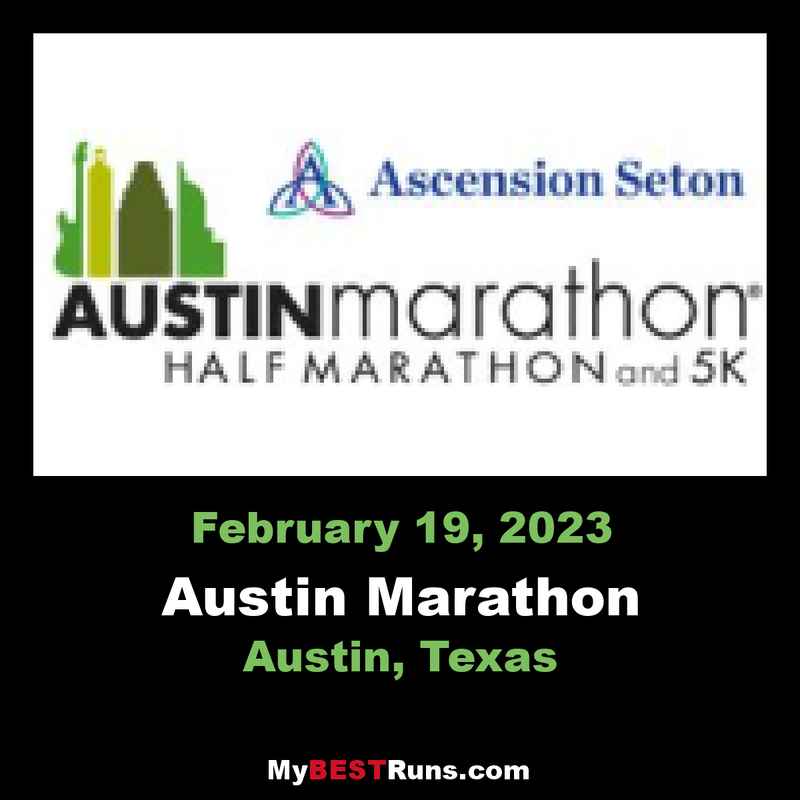 The premier running event in the City of Austin annually attracts runners from all 50 states and 20+ countries around the world. With a downtown finish and within proximity of many downtown hotels and restaurants, the Austin Marathon is the perfect running weekend destination. Come run the roads of The Live Music Capital of the World where there's live music on course. 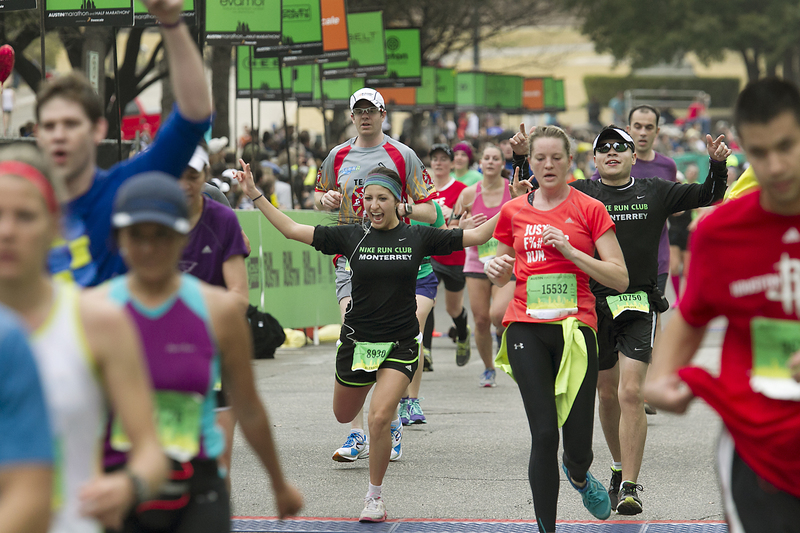 Whether you run 26.2, 13.1, or 5K, the finish line festival will be one to remember! 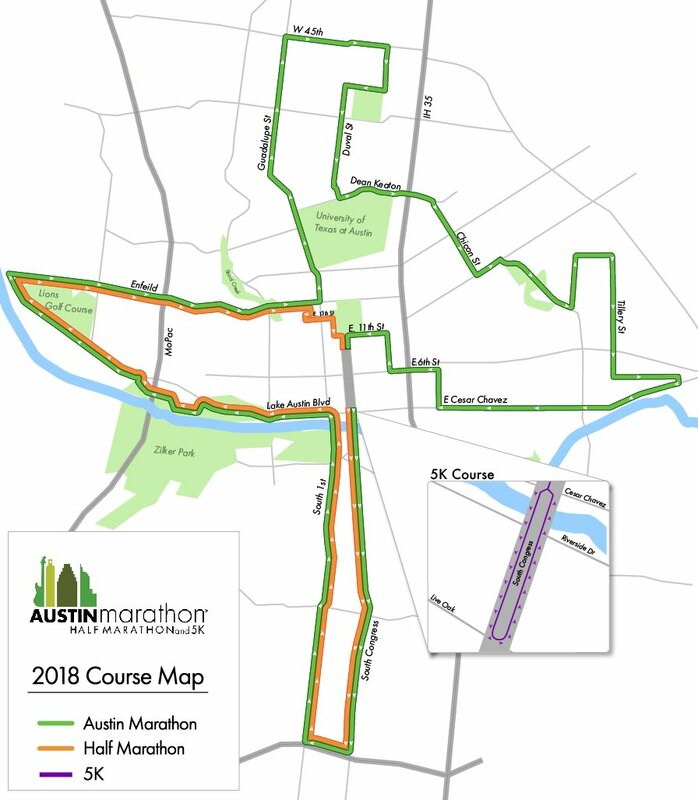 The Austin Marathon and Half-Marathon courses are USATF certified and run through or past some of Austin's most scenic and historic areas, including Lady Bird Johnson Lake, the Allandale and Hyde Park neighborhoods, Congress Avenue, the University of Texas campus, and the State Capitol complex. The gently rolling and shaded course is 90 percent asphalt with long straightaways and 28 turns. The marathon course gains approximately 14 feet per mile over the first 17 miles before dropping more than 33 feet per mile over the final nine miles to the finish on Congress Avenue in the shadow of the State Capitol Building. The route has a total ascent of 591 feet and has a maximum elevation of 764 feet. The elevation at the start is 546 feet.